With your growing web hosting need for more control and performance of your web server, the best logical choice is none other than Windows VPS web hosting .It gives you all the power and that too without any responsibility of a personal physical server, thus making it cost effective. 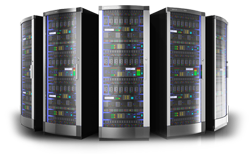 Our Windows VPS hosting server is embedded with virtualization technology from Microsoft. Unlike other VPS services you will never complaint about the security issues and speed that the Windows VPS hosting provides although being shared. It gives you access to the Control Panel Adds-ons like Plesk and cPanel. You can avail more freedom with root access and easily install an SSL certificate and other types of software. Even though the resources are shared, the virtualization provides a high level security. The individual servers are isolated and can run their own operating system. Windows VPS web hosting is a logical choice for all your hosting needs. There will be more freedom with root access and you can also install a Sal certificate, any type of software can also be installed without the responsibility of a dedicated server. Also, on a shared server, the performance platform will be given first preference. When you choose Windows the configuration of your applications, requirement, and growth will be selected. Directly from the control panel, VPS can be upgraded. The entire system is saved and once you select the plan, upgrading happens in a matter of minutes. There are several versions of Windows VPS web hosting plans available and some of them use less system resources than others. Which Operating System is being used for Host server at hostjinni.com? Basically, we use Microsoft Windows 2008 - R2 Edition as Host server Operating system at hostjinni.com. Can I purchase additional RAM, Disk space and Bandwidth for my VPS? Can I purchase additional IP address for my VPS? Yes, profusely user can purchase additional IP address during sign up process or later on by raising a billing ticket using Help-desk.for VPS. Hence, the cost for additional 1 IP address as specified in the plan of dedicated host server respectively. Do you provide fully managed Windows VPS services? Basically, with no additional cost by default all the VPSs are provided with basic support on 24X7 assistance. However, if you want to purchase full technical support for your VPS, you can do so with an extra cost charges which can be conducted at the time of registration of VPS. Mainly, MS SQL 2008 database Edition - R2 is offered free of cost with all VPS plans. Moreover, if you are looking to raise to MS SQL database Web Edition, then it will cost you additional as per norms. Can I upgrade my vps account anytime? Yes, you can anytime upgrade or downgrade your vps for the next level and also request RAM or web space additionally. We would also provide free data migration if needed to upgraded server. Once you avail the service at Hostjinni.com you will get world class technical support by our trained staff that too 24x7.Our Windows VPS Hosting plans are structured based on your needs and are solely managed by us making it more efficient and reliable. We believe in giving you the best service using all the modern technologies. Do not miss the opportunity to grow big with our Windows VPS web hosting in India that are made available to you at convenient rate..